Today’s global automotive industry could face far more change than stability during the next several years. Despite shifting dynamics, the automotive industry remains steadfast in benchmarking its overall success against one key ingredient—the Voice of the Customer. For more than 45 years, J.D. 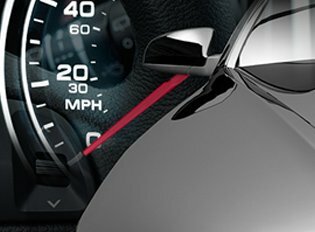 Power has been a trusted advisor in measuring this with a full suite of automotive solutions designed to help clients achieve their highest performance. J.D. Power understands the extent of planning that goes into designing, building, marketing and selling a vehicle, and the importance of understanding the target market before, during and after the process. Understanding the consumer voice in addition to the external factors is essential to succeeding in this highly competitive environment. The J.D. Power U.S. Vehicle Dependability StudySM (VDS) focuses on problems experienced by original owners of 3-year-old vehicles. Study findings are used extensively by manufacturers worldwide to help them design and build better vehicles—which typically retain higher resale value—and by consumers to help them make more informed choices for both new and used vehicles. The J.D. Power U.S. Automotive Performance, Execution and Layout (APEAL) StudySM examines new-vehicle owners’ assessments of the design, content, layout, and performance of their new vehicle after 90 days of ownership. The study data provides manufacturers and suppliers with insight on quality and design satisfaction. The J.D. Power U.S. Initial Quality StudySM (IQS) serves as the industry benchmark for new-vehicle quality measured at 90 days of ownership and has proven to be an excellent predictor of long-term reliability, which may significantly impact new-vehicle purchase decisions. The focus of the study is model-level performance and comparison of individual models to similar models in respective segments, which helps manufacturers worldwide to design and produce higher-quality vehicles that exceed owners’ expectations. The J.D. Power U.S. Tech Choice StudySM examines consumer awareness, interest, and price elasticity of various future and emerging technologies by vehicle make and consumer demographics. The major technology categories analyzed in the study include entertainment & connectivity, comfort & convenience, driving assistance, collision protection, navigation, and energy efficiency. BONUS! Consumer interest in emerging concepts such as autonomous driving, alternative mobility solutions, cybersecurity threats, and trust in vehicle technologies will be explored. The J.D. Power U.S. Tech Experience Index (TXI) StudySM measures drivers’ experiences, usage, and interaction with driver centric vehicle technology at 90 days of ownership. The study provides an understanding of opportunities for minimizing the gap between customer experience and execution. J.D. Power is the premier provider of automotive intelligence to an extensive client base of vehicle manufacturers, component manufacturers and suppliers, and technology companies around the world. Our customized component dependability reports that are based on component-level data and analytical tools and geared to organizational job function. This data measures engine/transmission owner reported problems and satisfaction with the vehicle during the first months of ownership. This data is supplier-focused and measures owner reported problems and satisfaction with HVAC System during the first months of ownership. This study is supplier-focused and measures owner reported problems and satisfaction with multimedia systems during the first months of ownership. This study is supplier-focused and measures owner reported problems and satisfaction with brake and handling systems during the first months of ownership. This data is supplier-focused and measures owner reported problems and satisfaction with the vehicle interior during the first months of ownership. This study is supplier-focused and measures owner reported problems and satisfaction with the vehicle seats during the first months of ownership. For automotive marketers, it is critical to understand your market—both current and future—inside and out. This includes understanding the factors that drive awareness and interest in particular models, as well as in your brand. The semiannual J.D. Power U.S. Automotive Media and Marketing ReportSM provides a comprehensive strategic perspective for targeting new-vehicle drivers through marketing insights and media consumption patterns, including broad-reaching digital and social channels as well as a deep dive into their attitudinal and lifestyle preferences. The J.D. Power U.S. Automotive Website Evaluation Study Cross-DeviceSM (AWESxD) examines the features and content of third-party automotive websites across all devices that shoppers find useful and engaging when shopping for a vehicle online. This study looks at what content shoppers are using when evaluating third-party websites. AWESxD helps third-party automotive websites identify improvements to make their site more competitive. To remain competitive in today's automotive industry, car manufacturers and retailers must react quickly to evolving sales, pricing, and incentives. Several key factors merit continuous scrutiny in this arena. To remain competitive in today's automotive industry, car manufacturers must react quickly to evolving pricing and incentives. The Power Information Network® (PIN) from J.D. Power provides car manufacturers, financial organizations, and suppliers throughout the United States and Canada with real-time automotive information, analysis, and decision-support tools to reduce risk exposure, improve marketing and remarketing effectiveness, and increase profitability. Understanding the shopping process and how to reach customers through ads and promotions is critical to the success of any business. This is one of the most competitive and dynamic areas of the business cycle in the automotive industry, and the pressure is on to target the right customers with the right message, at the right time. The J.D. Power U.S. Customer Service Index (CSI) StudySM examines customer satisfaction with maintenance and repair service at new-vehicle dealerships. Owners of 1- to 5-year old vehicles are surveyed regarding their most recent dealership service experience for both in-warranty and customer-pay work. The J.D. Power U.S. Sales Satisfaction Index (SSI) StudySM provides a comprehensive analysis of the new-vehicle purchase experience from the customer perspective. The study measures the ability of dealerships to manage the sales process, from product presentation and price negotiation to the finance and insurance process and final delivery. The study provides insights into customer needs and expectations and provides recommendations for improving the sales process. improves the performance of online campaigns and websites by measuring them against the KPI that matters most: actual vehicle sales. Develop competitive advantages by integrating the Voice of the Customer into your strategic planning, development, supplier operations, and launch/production. Identify retail sales process strengths and weaknesses at the individual dealership and brand level.